One of the ways criminal defendants can often try to evade “art crime” offenses is by challenging the definitions of art. The most recent example is the Piedoie brothers. The two are accused of pawning off 130 of their own creations as genuine works by César Baldaccini Baldaccini. 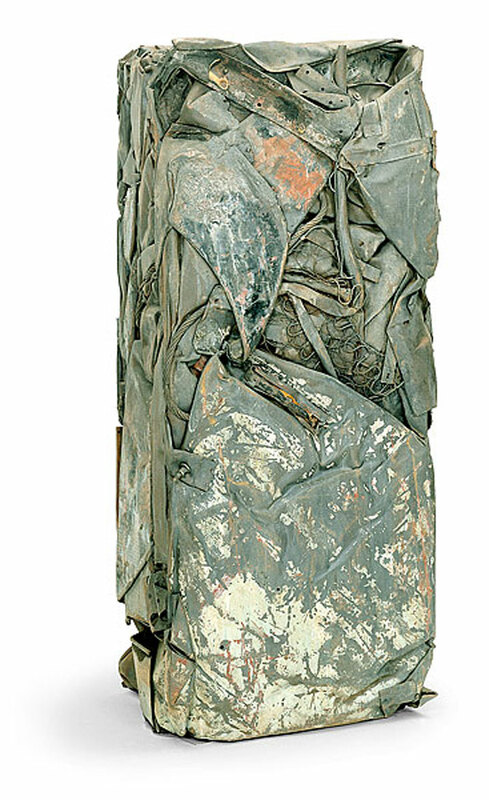 Baldaccini died in 1998, and was known for his sculptures which were made by compressing consumer goods like cars or refrigerators into metallic blocks, like this one. During a trial this week, the brothers will attempt to argue that made these César works as a kind of imitation, but not fakes. In a report by a French magistrate, the “lack of seriousness” of several auction houses was blamed, and the French prosecutor has expressed dismay that the French art market has been “flooded” with these kinds of fakes since the artist’s death in 1998. Police in the south of France searching for stolen art works, including a Chagall and a Magritte, bugged several suspects in a world of high-living, cocaine-taking art lovers and dealers. They stumbled on evidence that Eric Piedoie was flooding the Côte d’Azur with fake Césars. The appearance of so many unknown works enflamed feelings within César’s family and entourage. The artist’s wife Rosine Baldaccini and daughter Anna Puységur Baldaccini were disputing his inheritance with his mistress Stéphanie Busuttil. Each side accused the other of selling off works before the dispute was settled in court. Mme Busuttil was allegedly approached by the Piedoie brothers to sign certificates of authentification for some of their works. She says she did so in good faith: a claim accepted by the prosecution. In other words, both César’s own mistress and the art critic who catalogued his work could not tell authentic “compression” sculptures from fake ones knocked off in a garage. Awkward questions therefore arise. Were César’s “compression sculptures” really art? Are the Piedoie brothers con-artists or true, accidental artists themselves? On trial: the question of what is modern art, The Independent, December 1, 2009. Thanks dude, Im working on and that was helpful, keep that good stuff.